Thomas (Dileep) is a smart and eligible bachelor. But anyone who hears him speak will dislike him. Because of his disability in speech, he suffers much from his villagers and even near and dear ones. Sreelakshmi (Namitha Pramod) is a radio jockey who has a sweet voice. ‘Sound Thoma’ plots the love story of Sreelakshmi who is blessed with a sweet voice and Thomas who is the victim of his own voice. Mukesh, Shiju, Suraj, and Saikumar also appear in lead roles. Directed by Vaisakh, the story, script, and dialogues of ‘Sound Thoma’ are penned by Benny P Nayarambalam. Anoop produces the movie under the banner of Priyanjali. Open Thoma style… Thoma’s half garbled speech and a quirky mannerism in no way hampers the greatness of his inner sound. In fact, it highlights his goodness and proclaims a sweetness of nature that is beyond the ordinary. In the end, it is Thoma’s imperfect cleft-lipped sound that gives the most perfect of messages to the audience. Thoma brings home the core value in style amidst the noises surrounding him. Director Vysakh once again comes out well with an out and out formula movie along the conventional styles. He and scenarist Benny P.Nayarambalam have concerted a boot boiler with all the typical ingredients- drama, humour, romance, sentimentality, fights, family feud, suspense, moral values etc. ‘Sound Thoma’ is all about the goodness of the cleft-lipped Thoma (Dileep) that brings about a change of heart in his father, Paulose (Sai Kumar). 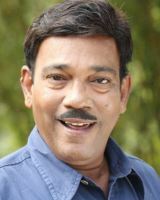 Paulose has three children- Mathai (Mukesh), Joy (Shiju) and Thoma. A series of events part the three of them from their hard-hearted, miserly and money loving father who is a money lender. Paulose invites the ire of the entire locality with his unrelenting ways. Suraaj is his sidekick. Meanwhile, a police officer is out to avenge the humiliation suffered by his father at the hands of Paulose. Cleft-lipped Thoma, is far removed from his father’s ways and knows only how to do good things. This sound impaired man, has a passion for sound, and in the course of events, falls in love with Sreelekshmi (Namitha Pramod). She’s an RJ and her father (Vijayaraghavan) want to marry her off to someone who can sing. The improbable love story of Thoma and Sreelekshmi proceeds parallel to Thoma’s relationship with his father. A change of heart, the realisation that money is not everything, reconciliation and the sorting out of issues form the rest of the narrative. Dileep and Sai Kumar have the maximum screen time and both have excelled in their respective roles. Mukesh, Shiju, Nedumudi Venu (as Paulose’s brother-in-law), Suraj Venjarumoodu and the other supporting cast has performed what was required. Namitha Pramod looks promising and has the potential for more mature roles. The songs stand out for their humour visualisation and familiar beats. The song sung by Dileep is apt for the movie. Gopi Sunder has kept the music breezy and functional. Cinematography by Shaji is competent. Make-up is spot on and looks natural. Special effects are average but jars in select scenes, especially in the long fight sequence. Loud frames, clichés, comedy that occassionaly falls flat, unnatural sequences, stereotypes etc, do mark the narrative, but do not damage this well-intentioned movie beyond a certain point. ‘Sound Thoma’ is not an intellectual exercise but has a social message and has been designed for some wholesome and pure entertainment.